Depth: Dig a hole twice the size of the container and plant at the same level it was growing at in the container. 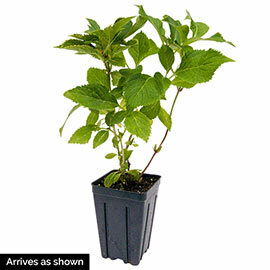 Foliage: Simple, elliptic to ovate, dark green leaves. Blooms: Mid to late summer and into fall. 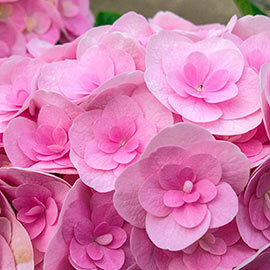 Flower Form: Large, mophead, soft pink flowers with an open, heart-shaped form. Soil Requirements: Well-drained, moisture-retentive soil. Pruning: After flowering, prune to remove dead and broken branches, and to maintain a desired size.